Your car’s transmission is an integral part of the vehicle. When transmission repair problems arise they can stop your car and leave you stranded. Getting regular transmission repair Federal Way is the best way to ensure your vehicle continues to run smoothly. However, when you do need transmission repair Federal Way, WA, it is important that you get it done right away. It is also important that you take your vehicle to an experienced transmission repair technician, like the ones at Federal Way Automotive & Radiator. Our top of the line diagnostic tools narrow down the exact problem so you will never pay for more work that was necessary. As a full-service transmission repair shop, we care for every aspect of your car’s transmission. Transmission repair technicians at our shop have the expertise to do both automatic transmission repair and manual transmission repair as well as foreign and domestic transmissions in Federal Way. Auto mechanics who do not have training and experience working with transmission repair often source transmission repair out to other auto repair shops that specialize in transmissions. That is because transmission repair is complicated and requires intricate know how. Our ASE Certified transmission repair specialists have the training and experience necessary to be transmission experts. That is why we have a stellar reputation in Federal Way, WA as the go-to auto repair company for transmission maintenance and transmission repair. We offer a 12 month or 12,000 mile warranty on all labor and parts. 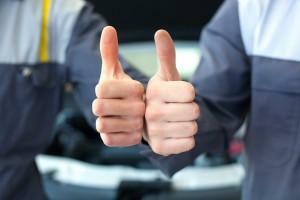 Bringing your car in for transmission repair can greatly prolong the life of your vehicle. Checking items such as the wear on your clutch and the level of transmission fluid have a huge impact on preventing larger transmission problems. We identify and repair worn out transmission parts before they become a larger issue. We have a multi-point transmission maintenance check. As transmission repair experts, we know what to look for to keep your transmission is good shape and prevent future transmission repairs. When a vehicle gets older, or if it has not been well maintained, transmission repair problems become inevitable. A transmission replacement often gives a vehicle a whole new life. With a rebuilt transmission you may get another decade of use from your car or truck. We guarantee our labor and parts so you can feel confident your transmission replacement will last. We also work to keep the cost down wherever it is possible. Our transmission technicians are happy to discuss the best option for your car or truck and answer any transmission repair or transmission replacement questions you may have. We put the customer first. You will never feel pressured to do more transmission repair or replacement than is necessary. Our excellent customer service has built trust in our name in Federal Way, WA and the surrounding communities. 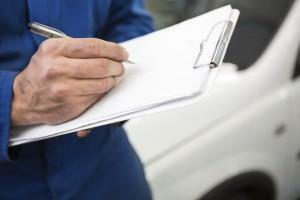 Read our blog for signs you may have transmission trouble. 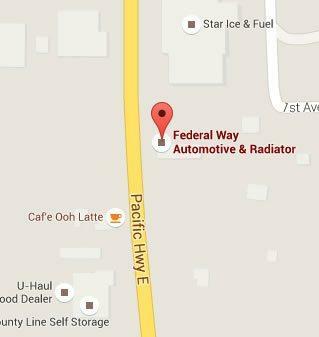 Contact Federal Way Automotive & Radiator today to get your vehicle in for transmission maintenance or transmission repair in Federal Way, WA. Watch our specials for a possible transmission repair coupon.